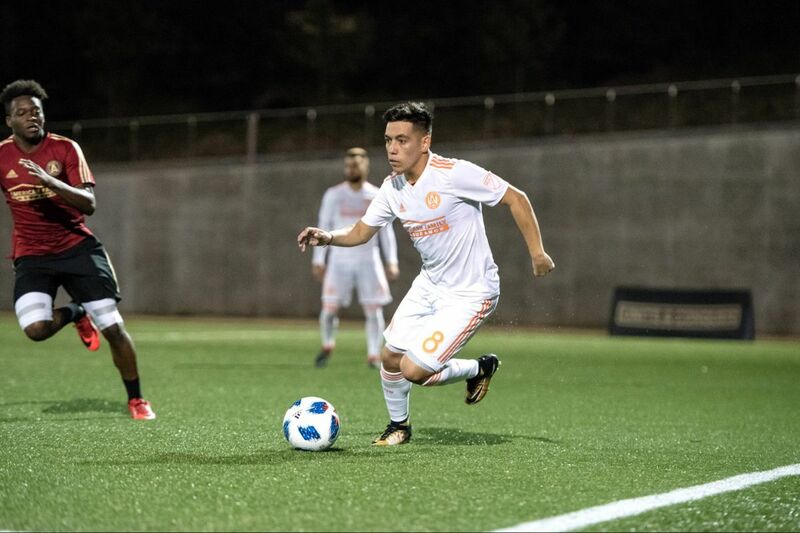 Atlanta United paid a MLS record $15 million transfer fee to acquire Argentine midfielder Ezequiel Barco. As Major League Soccer begins its 23rd season, here are some top story lines to follow around the league. The big checks are only part of the story. Just as important is how young the players are. Gamarra is 23, Colman is 19, and Barco is 18. Other notable new youngsters include Columbus' Milton Valenzuela, 19 (Argentina); New York City FC's Jesus Medina, 20 (Paraguay); Houston's Alejandro Fuenmayor, 21 (Venezuela); San Jose's Yeferson Quintana, 21 (Uruguay); and Portland's Andy Polo, 23 (Peru) and Cristhian Paredes, 19 (Paraguay). These players don't have the name recognition of European veterans who came to MLS in recent years, such as Frank Lampard, Steven Gerrard and Andrea Pirlo. They might not move TV ratings among English-speaking fans as the old stars did. But they'll definitely raise the quality of soccer in the league, and make it a lot more fun to watch. And down the road, they'll draw big-money transfer fees from foreign buyers. The capstone will come in late April, when the team opens its Banc of California Stadium. Located next to the famed L.A. Coliseum, this new soccer venue will hold a little more than 22,000 fans — including a standing-only terrace behind one goal that holds more than 3,000 fans. Dear @LAFC​, welcome to @MLS! 3. Can Toronto FC make history again? Last year, Toronto FC compiled the best season in MLS history. Led by Sebastian Giovinco, Michael Bradley and Jozy Altidore — plus underrated playmaker Victor Vázquez — the Reds became the first team to win a domestic treble of trophies. They started with the Canadian cup. Then they won the Supporters' Shield for the best regular-season record in MLS, doing it with the highest points total the league has ever seen. The year finished with winning the MLS title on their home field. Now, TFC is taking aim at the biggest prize of all: the CONCACAF Champions League. No MLS team has ever won it. Only two have even made the final, Real Salt Lake in 2011 and the Montreal Impact in 2015. Toronto has all of its stars back, and made new signings to replace glue guys it lost. It has the talent to make a run at the title. But even for a team that good, the odds are steep, and for the same reason that trips up MLS every year. Mexican teams, loaded with money and deep rosters, have always been the conquerors. Two of the biggest stand in Toronto's path: Tigres of Monterrey and Club América of Mexico City. 4. Will coaches finally play their kids? The U.S. national team's failure to qualify for the 2018 World Cup has fans nationwide yearning for a new generation of players to take the reins. They're in MLS from coast to coast, but will coaches take the risks that come with putting prospects on the first team? Some, such as the New York Red Bulls' Tyler Adams, have already broken through. Here are some others to watch leaguewide, beyond the Union: Atlanta United's Andrew Carleton and Chris Goslin, D.C. United's Chris Durkin, and the San Jose Earthquakes' Jackson Yueill. New York Red Bulls midfielder Tyler Adams is one of the top young prospects in American soccer. MLS will be one of the first big properties on ESPN Plus, the new subscription streaming service that ESPN will launch later in the spring. It will be the home of all games not on national or local TV. That's great news for the league, whose games will get bigger audiences than the league's proprietary MLS Live service has gotten over the years. ESPN Plus will also be cheaper: $4.99 a month, or $60 a year, compared to MLS Live's $80 last season. Because ESPN Plus isn't ready yet, MLS games will be available free on the league's website until then.